A contemporary-style rayon batik top just right for all occasions. V neck in front and back with side slits at the hip. 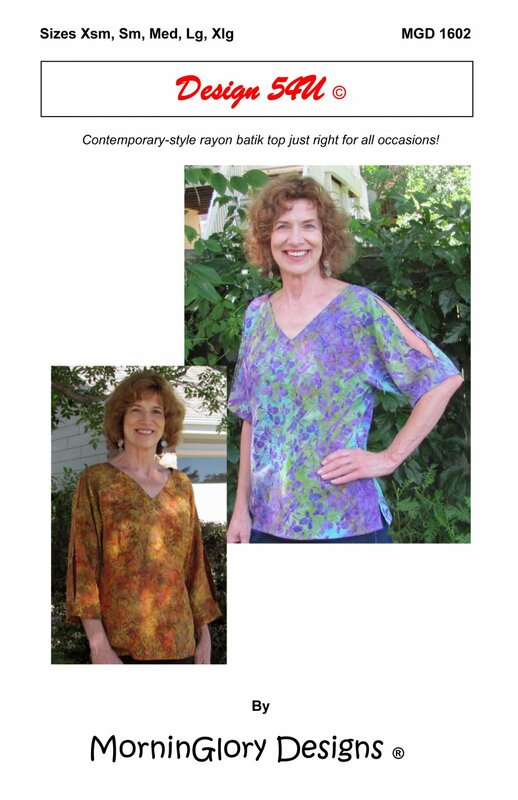 An open sleeve vent on a short sleeve or double on a 3/4 length sleeve is just the stylish feature you need to complete this unique top. Sizes Xsm - Xlg included MGD1602 Requires intermediate sewing skills.